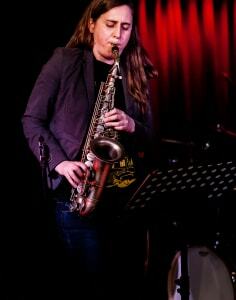 Dee Byrne is a saxophonist, composer and improviser based in London. 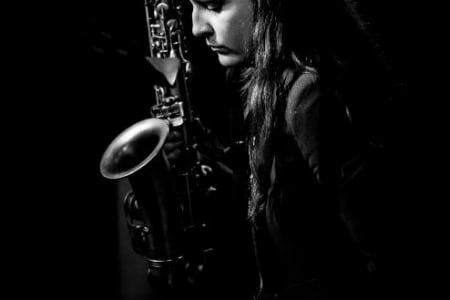 Since graduating from Trinity Laban in 2011, she has become an active figure in the UK creative scene and beyond, involved in various original jazz and improvising ensembles including Favourite Animals, Deemer, Word of Moth and Beats & Pieces. Her own quintet ENTROPI released its second album ‘Moment Frozen’ in September 2017 on Whirlwind Recordings to critical acclaim (‘Intense, muscular jazz voyage.’ ★★★★ The Guardian). Moment Frozen is available to purchase on the Whirlwind Recordings Bandcamp page. The album recording was supported by a PRSF Women Make Music grant in 2016. The quintet recently completed a successful ten-date UK tour in Autumn 2017. 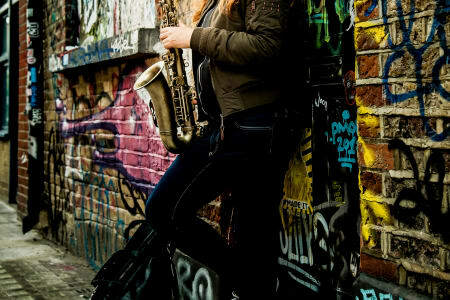 Highlights included an album launch at the prestigious Kings Place in London and performances at EFG London Jazz Festival (Pizza Express Jazz Club, Soho) and Cambridge Jazz Festival. Dee was featured in the ‘Taking Off’ section in the December/January 2018 edition of Jazzwise magazine.